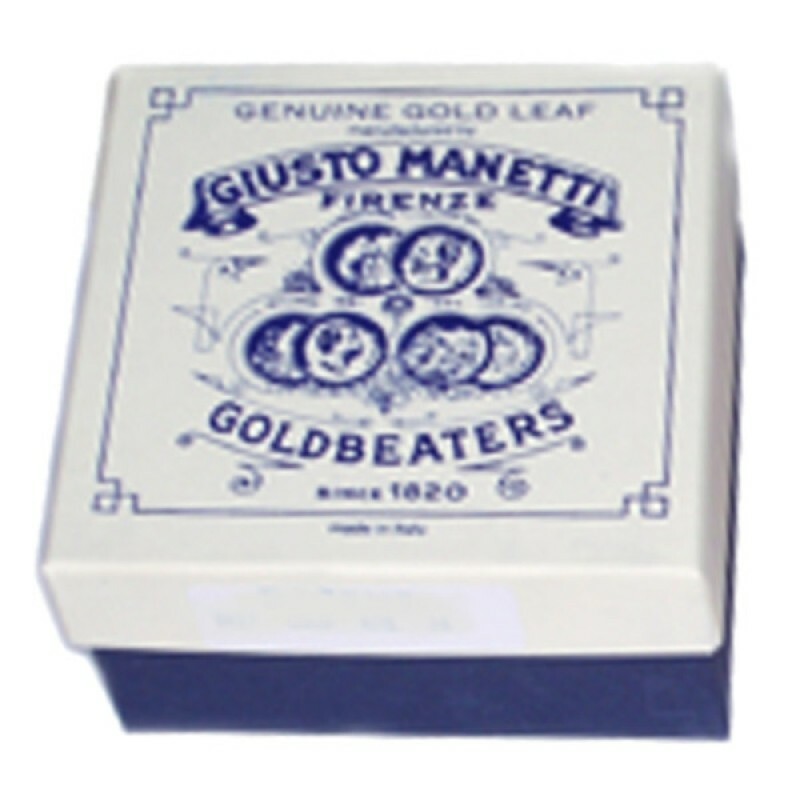 Manetti 19kt-Caplain Gold-Leaf Patent-Pack of 20-books-gold-leaf contains 500 sheets of Gold-Leaf, size-3-3/8" x 3-3/8", Patent/Transfer-Leaf, 18 Gram Weight 19kt. Caplain-gold is a very early Karat weight. 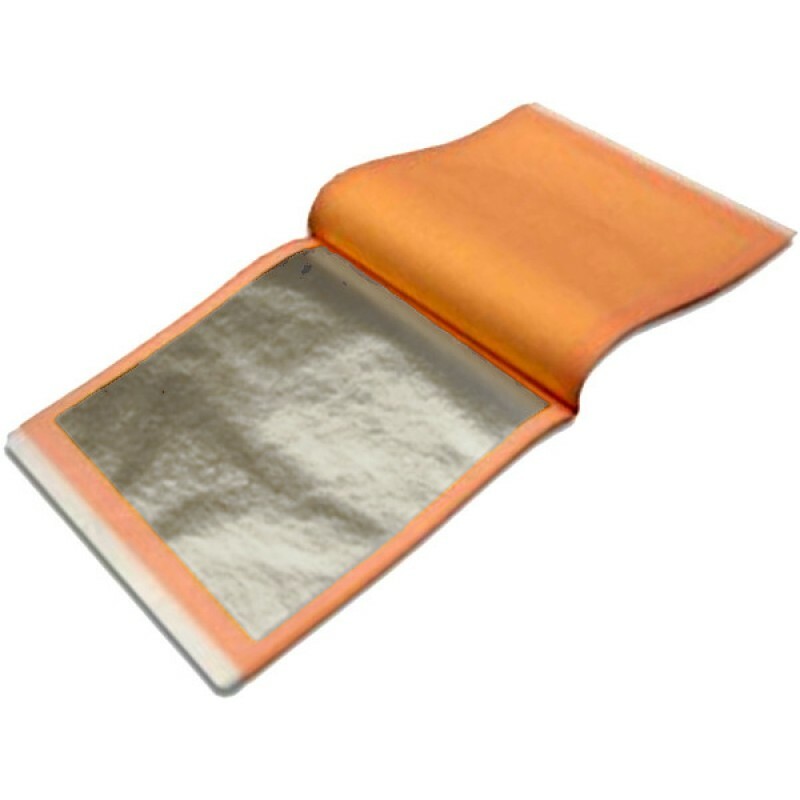 Manetti 19kt-Caplain Gold-Leaf Patent-Pack is packaged attached to white-paper and placed between the sheets of paper in each book of Gold. Patent or Attached Gold-Leaf is attached to paper to assist in transferring thin delicate Gold-Leaf to avoid damage from wind or wrinkle. 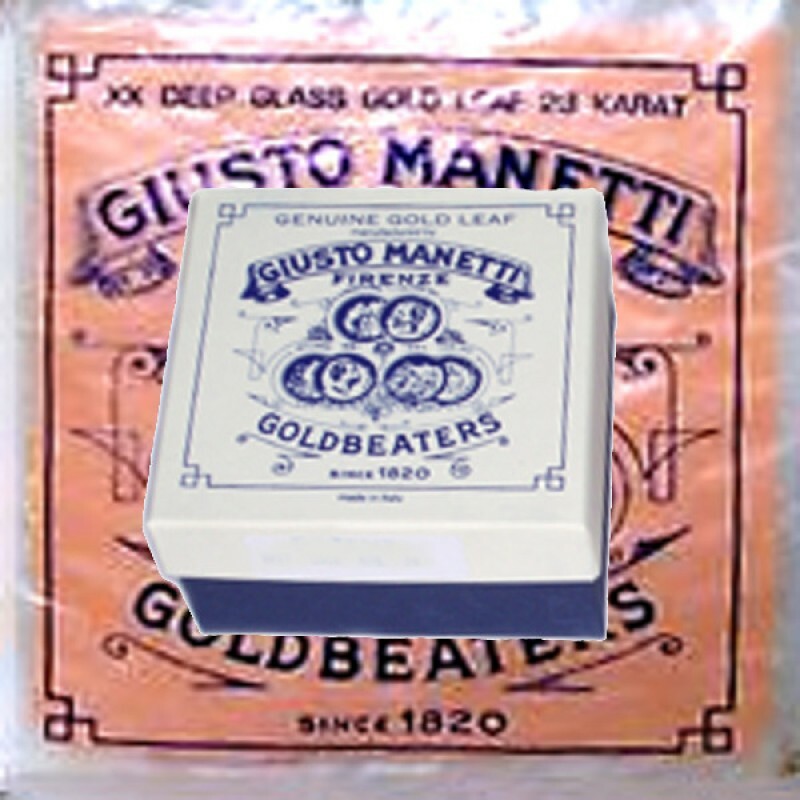 Patent-Leaf is help-full if you haven't learned to use a gilders Tip. 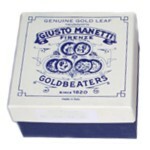 Each Gold-Leaf Pack contains 20 Books or 500 sheets. Each Book contains 25 sheets of gold-leaf, sheets of Gold Leaf measure 3-3/8" x 3-3/8" inches square. 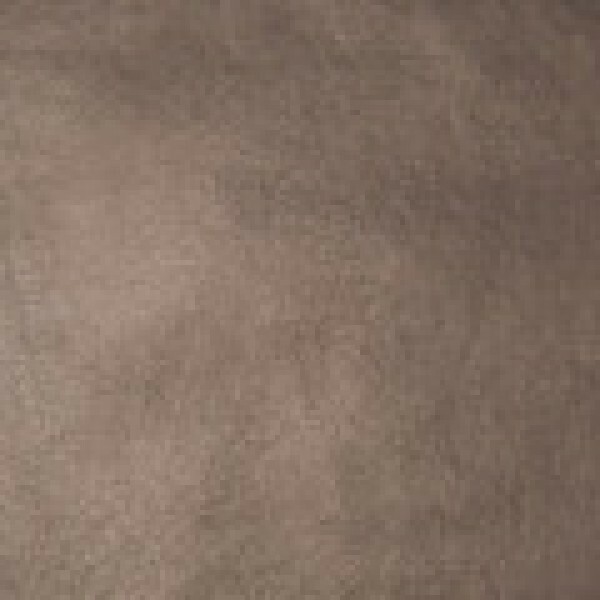 Each Book of 25 sheets has a coverage area of 1.98sq ft. without consideration for waste or overlap. This product is great for glass gilding and surface gilding. 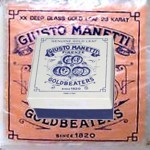 Manetti 19kt-Caplain Gold-Leaf Patent-Pack available here.